9AM to 7PM: Open to the public. 25% off DAY (Items marked REDUCE only). 9AM to 4PM: Open to the public. 50% off DAY (Items marked REDUCE only). $$ Become A Consignor & Earn! $ Help Us Out - Earn & Have Fun! It’s the perfect way to buy and sell the next stage of your children’s clothes, toys and gear. Without breaking the bank, driving around for hours at endless garage sales or worse – paying full retail price! We offer exclusive opportunity shop our sale before the doors open to the public! Dig up your stuff and participate in this great sale! 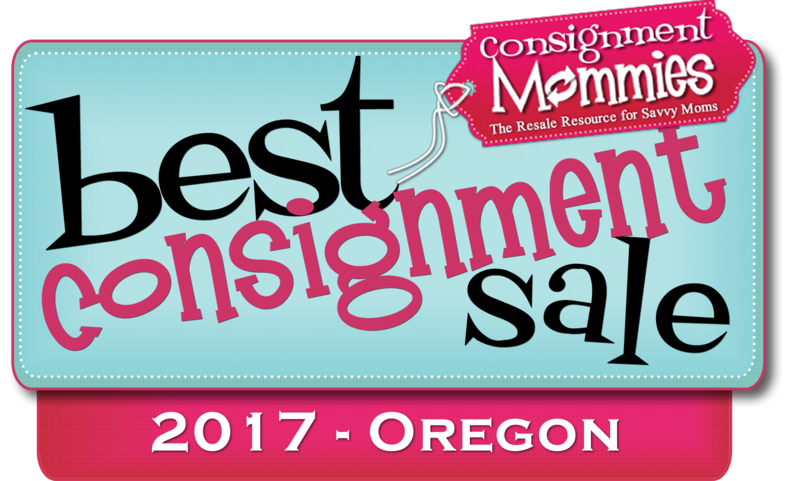 Our consignors earn 65-80% of their sold items! Shop, save and earn bonus earnings on your sold items just by helping out at the sale.! I’m so glad I found your sale. Great people, great items, I save so much money! I feel like a kid in a candy store!